As far as I know FINRA publishes only OTC data (http://otce.finra.org/ESI). Some sites like gurufocus.com (under ownership sections) contain it and I doubt they buy it from NYSE. 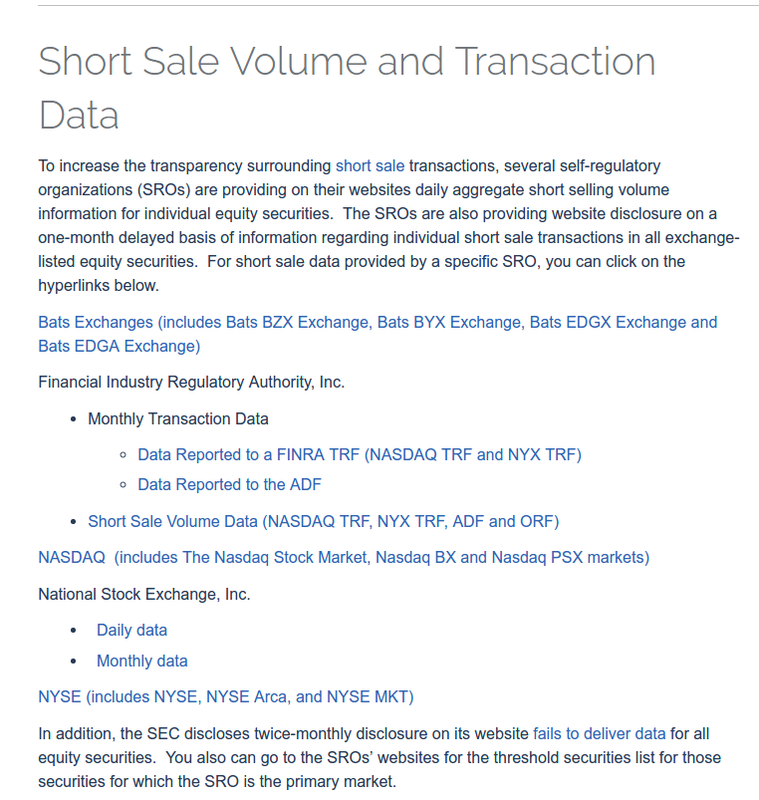 This is a direct link to all of the short sale data available. 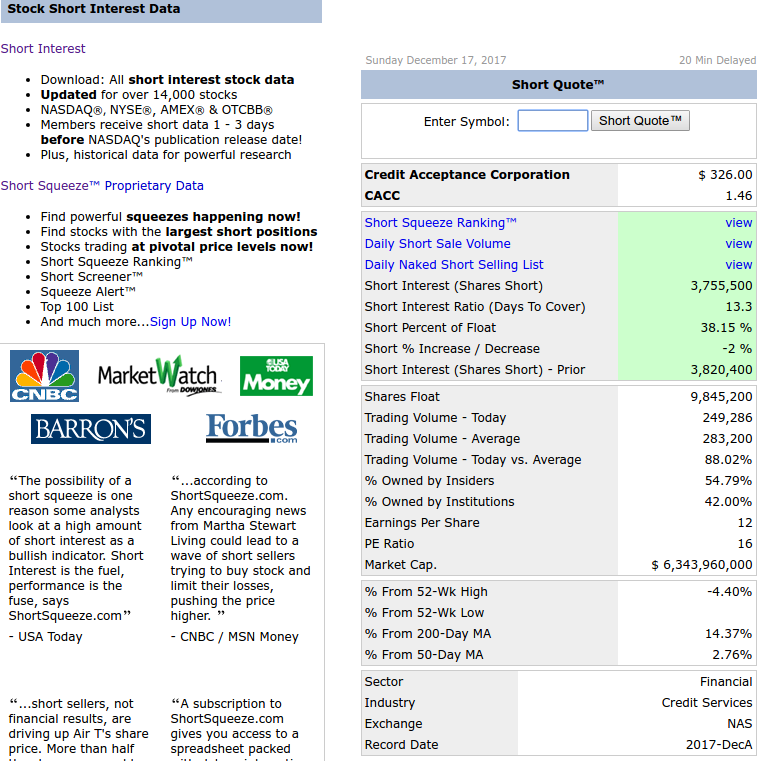 The 1,495,223 is the short interest corresponding to 8/31. Not the answer you're looking for? Browse other questions tagged equities data market-data short-selling or ask your own question.